It turns out not even all the coffee in Calgary could help me get through my reading list last month, so there’s a bit of overlap for March (and Night Circus is pushed back into April). I did write and submit three short stories – so there’s that. The Dylan Thomas volume is based on a series of radio appearances that he did, and his voice is so wonderful, I am disappointed that I hadn’t read it in my Gorilla House days. I’m sure Bassano del Grappa could have benefited from Thomas’ influence. 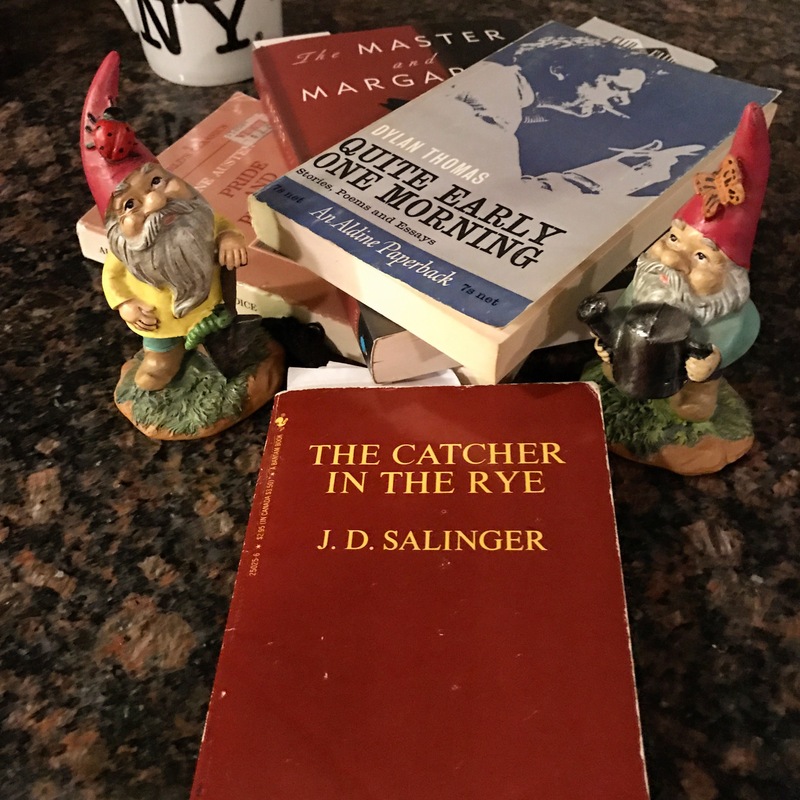 I’m pretty excited that my book club has Catcher in the Rye as our next book, not because I’m a big fan of the book, but because our book club has a couple of young teens in it and I’m eager to hear what they think of the novel. They’re the first people I’ve encountered who will be about the same age as Hayden Caulfield and granted, they will be seventy years removed from the context of The Catcher in the Rye, I’m still interested to hear their thoughts. I think it’s a difficult book for many of us to come to post-adolescence. So much has been written about it and the people who cling to it, or champion it, as well as those who try to ban it. It occupies a special place in American history, and perhaps English literature in a wider sense. I’m not sure. Certainly, the mystery around its author has done little to quell interest in the book, but all of that adds to the subtext we bring to The Catcher in the Rye upon reading it. For my part, I was twenty-five when I read it, as part of my background research in graduate school. I had been reading a significant number of newspaper articles, police reports, and interviews with juvenile delinquents circa 1950. Compared to those, Caulfield’s voice struck an odd tone, one that diminished my enjoyment of it, despite the attestation of others that the colloquialisms were accurate. I’m curious to revisit it.